Through breakthroughs in stem cell research, we’re not just living longer. We’re living better. Every day, in laboratories and clinics across the globe, new scientific discoveries take root to become therapies, drugs, or vaccines designed to treat or cure illness. This leads to an uptick in lifespan. In fact, by 2030, the number of people over age 65 will double, exceeding 71 million. According to the CDC, 80 percent of this group will suffer from at least one chronic disease, and 50 percent will suffer from multiple maladies.An inconvenient truth is that many of these conditions don’t have conventional cures and require on-going treatment, carrying significant risk and potential side effects (not to mention expense). The good news is that scientific research has also given us a better understanding of how our miraculous bodies can heal themselves, under the right circumstances. Researchers and physicians have been able to implement this knowledge in a new sub specialty called regenerative medicine, using stem cells to repair injured tissue and to restore function in a natural way. Stem cells exist throughout your body in most tissues, and are responsible for maintaining health and function throughout life. They are the basic unit of life from which all of the cells in the body are made and maintained. Under ideal conditions, stem cells do one of two things: They divide to make more stem cells or they become specialized cells, such as heart, muscle, brain, bone, and so on. One of the things that make stem cells unique is that they’re the only cells in our bodies that can take new, specific types of cells. There are four main types of stem cells: embryonic, perinatal, induced pluripotent, and adult. Embryonic stem cells come from human embryos, formed from the fertilization of an egg with a sperm outside of the body in a fertility clinic, or in vitro. They are versatile because they can form any type of cell in the body and have an almost unlimited capacity to divide. However, embryonic stem cells have seen their share of controversy due to ethical issues surrounding their use, and that’s made research—including their seemingly promising ability to aid with macular degeneration and spinal cord injuries—limited. 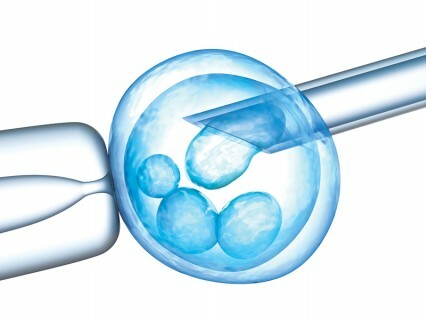 Current guidelines dictate that only unused embryos created at a fertilization clinic may be donated for research with the donor’s consent, and there are no approved clinical uses for embryonic stem cells within the United States today. Hypothetically, if you were to have a brain injury, and a small biopsy of your skin was taken and reprogrammed to a younger state, those cells could be changed into functional, healthy brain cells and placed into your damaged brain to regenerate. Preliminary studies are underway using induced pluripotent stem cells in laboratories on animals, but the FDA has not approved these cells for human use. Perinatal stem cells are found in the umbilical cord, placenta, and amniotic fluid of a pregnant woman and her baby. Many parents, in fact, have chosen to bank their baby’s cord blood or amniotic fluid as a preventative measure for later use. Currently, these are approved in the United States for treatment of leukemia, lymphoma, and multiple myeloma. Studies are underway exploring the possibilities of using these stem-cell rich sources for other treatments, too. Last, and most clinically relevant, are adult stem cells, which are found in most tissues in your body. These cells are responsible for naturally maintaining and repairing your tissues in response to disease or injury. Adult stem cells are multipotent meaning they can become many, but not all, cell types. Adult stem cells can become, or support, cartilage cells, muscle cells, nerve cells, bone, and blood vessel cells—which makes them extremely valuable for use in the treatment of many degenerative illnesses. In a healthy body, adult stem cells naturally maintain or repair tissues in response to disease or injury. However, with chronic disease, advanced age, or overwhelming injury, their healing capacity is sometimes unable to restore full function. In these instances, researchers take a patient’s own stem cells—typically harvested from bone marrow or adipose tissue (fat)—in a simple outpatient procedure using local anesthesia, concentrating them, and then delivering them to the damaged tissue to assist in the healing process. (Fat is the preferred source, as it is less invasive and because stem cells exist in higher numbers than fat tissue). These transplanted cells have the ability to reduce inflammation and promote tissue healing through the release of signaling molecules, called cytokines. These molecules recruit stem cells to regenerate tissue and improve circulation in the environment in which they are placed. Large clinical trials are currently underway for adult stem cell therapy for conditions such as heart disease, brain disorders, immune problems, musculoskeletal problems, diabetes, visual problems, and even sexual problems, with consistently positive results. Patients have reported excellent improvement in joint pain, pulmonary function, circulation, brain function, and overall well-being. Currently, adult stem cell treatments are considered experimental—meaning that they are not yet FDA-approved so insurance will not cover the cost of these treatments. There are a small number of FDA clinical trials recruiting patients and inclusion in these studies is covered by research grants. However, these trials may be “placebo controlled” studies, so if you are accepted into one of these, you may unknowlingly receive a placebo instead of actual stem cells. IRB-approved studies are now being conducted for many conditions, however these studies are patient-funded. Depending on the condition being treated, the cost of adult stem cell treatments can vary from $5,000–$15,000—which, for some perspective, is about the same price range for most cosmetic surgery procedures. As in any market, new advances attract forward thinkers, but also their share of charlatans. If you decide to pursue a stem cell treatment, ensure that your physician has developed or is using scientifically validated methods. This means that the stem cell isolation and harvesting methods should be independently validated and proven to yield defined numbers of live cells. Scientists have the ability to confirm that the cells are able to make copies of themselves and form tissue like bone, cartilage, and muscle. Choose a clinic that has strong affiliations with stem cell scientists that work with doctors. This is a highly specialized, new field that requires expertise beyond simply a medical degree. Search out clinics offering treatments under approved Institutional Review Board (IRB) protocols, which means that a team of independent physicians and scientists have evaluated these treatments and deemed them safe to test on human patients.This same panel is responsible for periodic review of the patient results to ensure that protocols are adhered to and that no adverse effects are found related to the stem cell therapy. Make sure to ask your physician’s credentials and experience, and inquire about the expertise of their scientific support team. (Additionally, you may want to ask for references from patients, as well as other clinicians.) In order to comply with current regulatory guidelines within the United States, your stem cells must be removed, processed, and reinjected within the same procedure, and the cells should not be sent out of the clinic for processing. Additionally, the cells cannot be cultured, grown, or multiplied before re-implantation. Stem cells are an important advancement, which will ultimately change the way that medicine is practiced for the better and allow for longer and healthier lives. Beware, though, of anyone touting stem cells as a cure for anything. “Presently, stem cells are not a proven cure for any disease. If anyone tells you they are it is a myth,” cautions Dr. Gonzalez. “Remember, if it sounds too good to be true, it probably is.” While regenerative medicine does not yet have all of the answers, it is a revolutionary approach to treating many degenerative conditions associated with the aging process. Look for explosive developments in the field of regenerative medicine in the very near future.